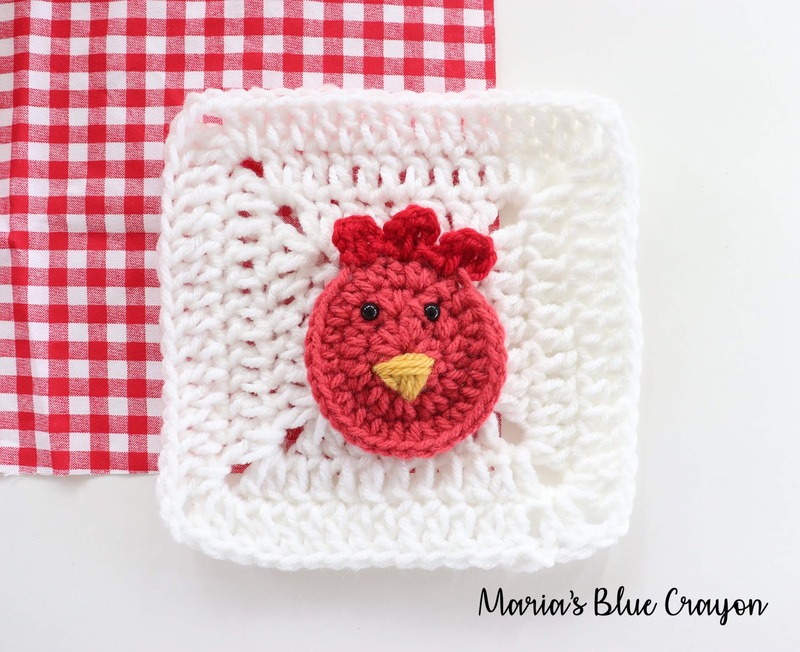 Learn how to crochet this rooster applique as a part of the Farm Granny Square Blanket! Scroll down for both the written pattern and video tutorial. This crochet rooster granny square is a part of my Farm Blanket Crochet Along. *Ch 3, dc in same sp as ch 3, ch 3, sl st in same sp as dc, *sk 1 st, sl st into next st, repeat from * one time, then repeat from * * one time. Fasten off. Attach safety eyes and sew on beak using yellow yarn and tapestry needle using photo as a guide. Sew rooster onto white granny square.